Heat and humidity can quickly dehydrate and overwhelm your body while you work out, particularly in the middle of the day. Shape suggested going out during the coolest time of the day, which means keeping a flexible workout schedule. The morning is often the best, but if this isn't possible, try exercising after work. Check your local weather to decide what time would be best for you. The coolest temperatures of the day can still be hot depending on your area. Invest in some lightweight, breathable wicking clothing to battle warm conditions. This will help keep moisture away from your skin to help you feel cooler. A hat is also essential to protecting your head and face from the sun. Keep hydrated while exercising outside. Drinking water is essential to any outdoor activity. 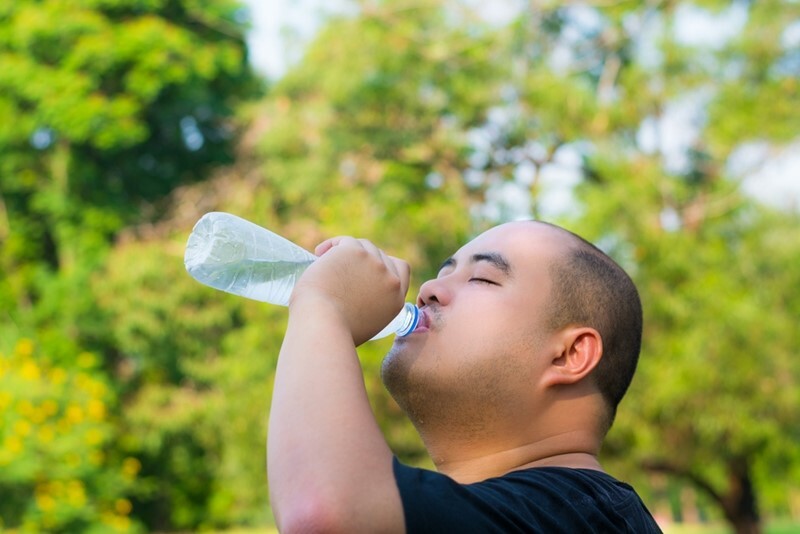 Lack of fluids can lead to severe conditions like heat cramps, heat exhaustion and heat stroke. In a piece for The Kentucky Standard, Elliot Mattingly, Doctor of Physical Therapy, wrote that water is okay for exercise less than 45 minutes. For workouts long than this, keep hydrated with drinks higher in electrolytes, but low in sugar every 20 to 30 minutes. Avoid drinks that are high in sugar, as well as alcohol or items that contain caffeine, as these can increase fluid loss. "Change the intensity of your exercise and slow down your pace." If you run a mile in a certain number of minutes, don't expect your body to be able to perform to these standards on hot days. It can take a few weeks for our bodies to adjust to temperature changes, and going too fast on your workout will put yourself at an unnecessary risk. Change the intensity of your exercise and slow down your pace to accommodate the higher energy output associated with warm days. You'll still get the benefits from your training without overexerting yourself. Climbing temperatures and the sun's rays can be very dangerous. If you must go outside, stick to the shade and keep your skin moistened to help cool down. On days with a heat or air quality advisory, it's best to stay inside or switch your rest day and workout day. You will avoid the risk without hurting your training regimen. Summer months hold a plethora of exercising opportunities from swimming and tennis to hiking and canoeing. By following these tips, you can successfully beat the heat while you exercise and receive the full benefit of your workout.